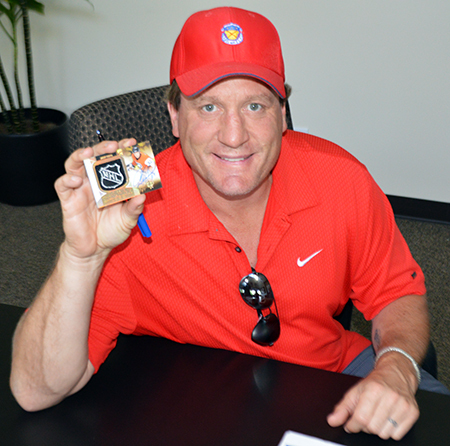 Jeremy Roenick Visits Upper Deck Headquarters & Gives Tips on Avoiding Counterfeits! 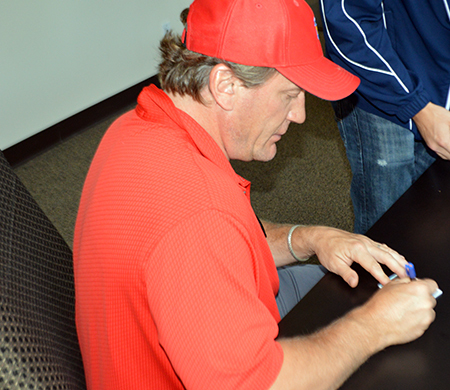 Fans love Jeremy Roenick not just for his playing days, but now as an analyst with NBC. 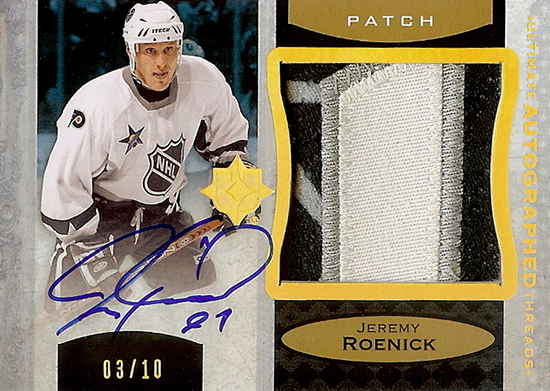 He is an all-around great guy and collectors certainly appreciate him as well. 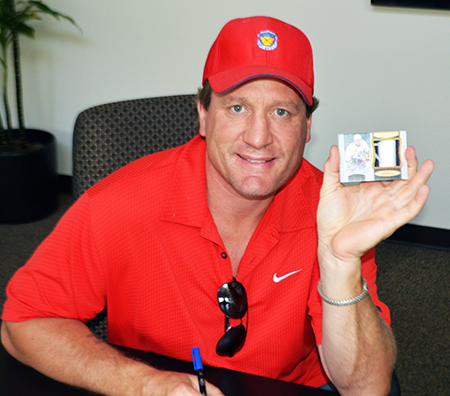 We recently had him in at Upper Deck Headquarters to sign a variety of cards, primarily for the upcoming release of 2013-14 NHL® Ultimate Collection. Take a look! 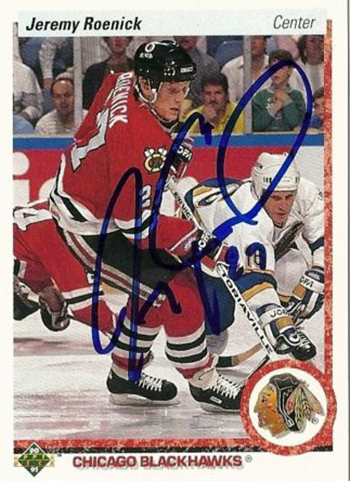 So if you see a card like this, it likely is not legitimate because Jeremy would never disrespect Brett Hull’s face who also appears on the card with him. 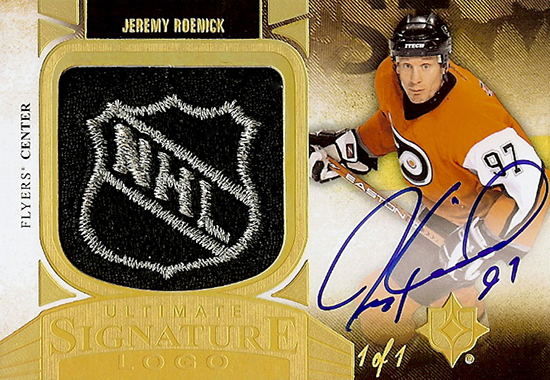 Is this autograph found in the secondary market authentic? 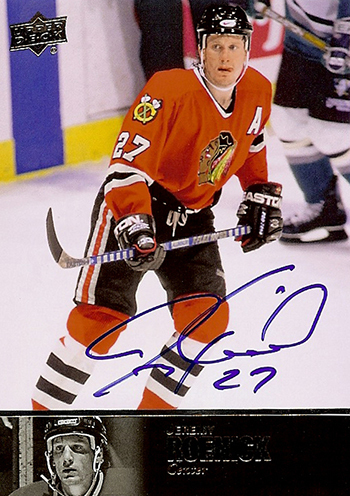 Not according to Jeremy Roenick who says he would never disrespect his buddy Brett Hull’s face by marking it up.